Is Florida really the most unsafe state for seniors? Florida was knocked for its violent injury death rate. We ranked 39th and Iowa was ranked 12th. However, if you select all fatal injuries, Iowa is in the top-tier of worst states while Florida is in the second lowest quartile. Why might that be? A 2013 study by the American College of Emergency Physicians found that the most rural counties nationally are 1.22 times more dangerous than urban areas. One reason is people in rural areas tend to spend more time in cars, which is deemed the most dangerous activity. (Iowa is pretty rural.) It can also take a long time in rural areas for an ambulance to arrive and it can be a long way to a level I or II trauma centers. Florida has 31 level I trauma centers, while I counted six on a map for Iowa. Florida ranked 39th in housing costs at $1,077 a month while Iowa is fifth best at $740. That’s measured by the cost of rent. I think the reason is urban areas, which Florida has in abundance, are a lot more expensive than small town Iowa. The study also doesn’t look at home ownership. That’s too bad because it’s pretty cheap to live in a Century Village condo in South Florida or a manufactured home community in Central Florida. A big gaping hole in the study is the lack of look at taxes. Florida has no state income tax while Iowans pay 6.8 to 8.98 percent. Iowans pay an average property tax rate of 1.5 vs. 1.02 percent in Florida, according to Smartasset.com. 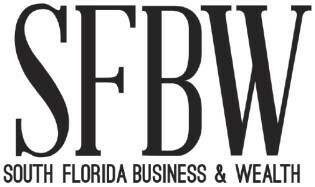 The SeniorList.com study also dings Florida for percentage of seniors living in poverty. We rank 43rd while Iowa ranks third. That leads me to think about the demographics of the two states. For example, about a quarter of Florida residents are immigrants while the figure in Iowa is 5.5 percent. Many immigrants have come to Florida fleeing persecution and left their assets and livelihoods behind in places such as Cuba. That’s not the case in Iowa. Florida also has a much higher percentage of Blacks and Hispanics, who generally have higher rates of poverty. Iowa is 91 percent white while the level in Florida is 65 percent. 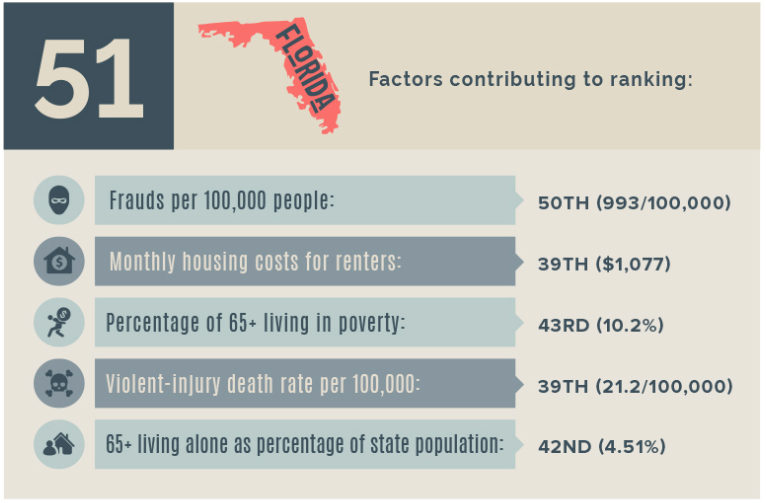 Florida gets dinged for percentage of seniors who are living alone, ranking 42nd. 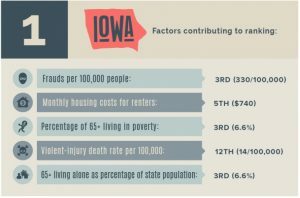 Having grown up in Illinois, about 50 miles from Iowa, I think it’s more common for an elderly parent in the Midwest to move in with their children when a spouse dies, which lowers the percentage of seniors living alone. In Florida, the kids night be up north still. Moreover, the surviving spouses of seniors who moved to Florida may feel less financial pressure to move in with their kids or be satisfied with living in a senior community. Another point in the study is that Florida ranks 50th in states for fraud. I totally agree on that one. It’s too rampant down here. I have no doubt people in Iowa are a lot more honest. A lot of fraudsters move here and the state’s large senior population is an enticement. Although Florida may be “a sunny place for shady people,” I’m not retiring in Iowa.